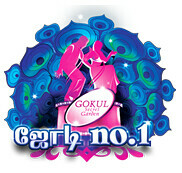 Jodi No 1 from Vijay TV has been the first of its kind in tamil television channel. 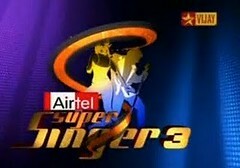 Later many other channels had similar programs which made Vijay TV to shelve it for a while. This has happened with few other programs as well and Vijay TV comes back with the program again after a while. We are seeing same behavior and Star Vijay TV is back now with Jodi Season 5. Lets see how the program has started and with the progress will it regain & continue its next season immediately after this along with the verdict of the program. Whats different this time ? There is a huge difference this time with Jodi Season 5 where each jodi is not only male-female team. There are combinations of male-female, male only, female only teams and thats a good difference across the seasons. This is both advantage and disadvantage for contestants and also for the viewers ;). Ramya Krishnan comes back as the judge for the show after missing few seasons. Other judge is not one single person and each week there is someone judging the show with Ramya Krishnan. We have had actress Sneha, Meena, Sangeetha, actors Shanthanu, Shyaam, Prasanna judging the show. I am not sure why they have not yet fixed one single judge amongst them. Always these reality shows gets more TRP with some drama between the contestants and judges. I mean sometimes the drama is not preplanned but the promotional videos make them interesting for the viewers to watch the show. I guess that happen few weeks back with the Manoj Kumar's jodi with the contestant arguing with the judge and on the capabilities. 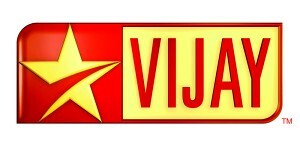 Shivakarthikeyan is now seen in many shows of Vijay TV. He was also seen at the Vijay awards and now he is back with Jodi Season 5 also. He has been making lot of fun and keeps the show lively and I think he brings some of the viewers for the show :) Bhavna joins him in anchoring and she has been doing a nice job till now. This time with the Jodi season 5, Vijay TV has brought up with very different and innovative rounds for the contestants. When they had 10 contestants, we had Dhasavatharam round with each time taking one avatar of god Vishnu. Then with 9 contestants, it was Navarasa round taking all nine rasas for each team. Its different and nice. Till now the program has been going on fine but not made a big impact. Its still time to get the heat on so that the program gets more viewers going forward. Lets see how it goes as the elimination grows. 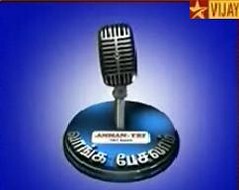 I happened to watch this show on Sunday (04/09/11) and was surprised and mildly irritated by the way the anchor Mr.Shivakartikeyan conducted himself. 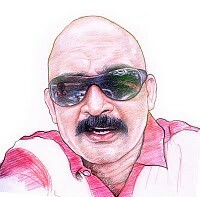 What was shocking was the way he addressed a contestant as "Naaye" meaning dog and also went onto say "vilakkamathaala adippaen" meaning will whack with a broom. 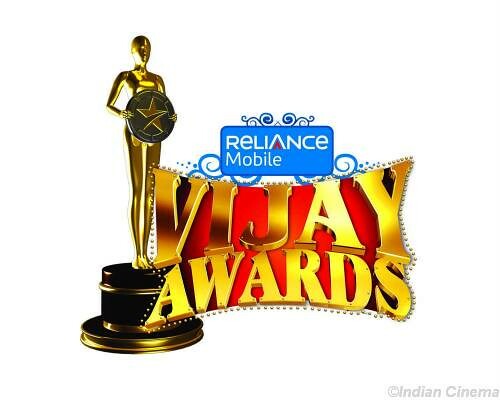 It was highly embarassing and not of the standards of Star Vijay likes. Anchors should refrain using foul or mean language and need to present the show in a dignified manner. Belittling or using foul language, that too on a very young contestants can in no standard be acceptable as comedy. Please, let the anchors have common sense and etiquette in presenting the shows and let comedy or humour not be at somebody's cost or cheap.